Motech Garage offer a comprehensive vehicle diagnostics and repair service which uses the very latest in dealer specification diagnostics equipment for all makes and models. Motech Garage are able to read, diagnose, repair and configure any on-board errors or fault lights. 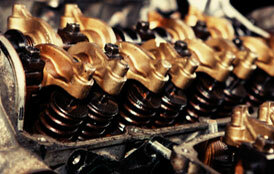 At Motech Garage we can service your A.C system to ensure it's functions to its full potential. In addition to this we can carry out any repairs that may be required including computer diagnostic interrogation of the vehicles climate control module (if fitted). 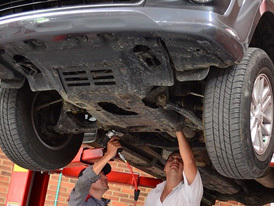 At Motech Garage we are able to carry out any repairs your vehicle may require to the highest standard in our fully equipped workshop using only the best quality replacement components. Warning Light on your Dash? From the early protocol found in vehicles in the nineties up to the latest systems of today, we continue to invest to enable us to offer the best possible diagnostics solutions to our customers. 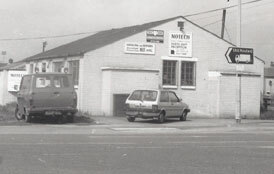 Motech Garage is a family business established in October 1987 on Bridge Street in Goole by father and son, Donald and Jeffrey Nicholson. This fulfilling Jeffreys ambition to run his own successful garage after working in various main dealers throughout the region. Jeffrey is the current proprietor of Motech Garage and brings together over 40 years of experience, starting his career with a City & Guilds 5 year apprenticeship and national crafts qualifications. In 2002 the business moved to its current, bigger premises on Carlisle Street in Goole with a fully equipped 5 bay workshop and MOT testing station. The business to this day is still very much family orientated, Jeffrey now runs the business with his two sons, Daniel and Scott with his wife taking on the role as receptionist. 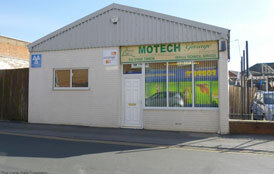 Motech Garage offer a complete garage service and specialise in vehicle diagnostics covering all aspects of diagnosis and subsequent repair of a vehicles various computer controlled systems. From MRS (airbag) lights to engine management problems, Motech have invested heavily in a wide range of dealer specification diagnostics equipment and with their wealth of experience they are able to diagnose, advise and repair faults on all makes and models.